Doing a Southwark Healthy Ride to Dawson's Heights is great, but how many of the Southwark Healthy Riders realise that by cycling just 20 miles from Dulwich Clock Cafe, the typical distance covered by a Southwark Healthy Ride+, you can reach Box Hill? But this is where the bike politics comes in. It appears that LCC, Cycling UK and British Cycling have formed a cartel, with the Cycling UK group Pollards Hill Cyclists having been shut down, handing a monopoly of group cycling in south London to British Cycling. It would be great if LCC could challenge by this by being a free-rider, but it's hard work persuading them to do this! However, despite all of this politics, there were four of us on this ride to Box Hill. Interestingly, one of had been a member of Pollards Hill Cyclists, which used to do rides in the region we visited on this ride. In case you don't know, Pollards Hill Cyclists (http://pollardshillcyclists.org.uk/history.html) was a Cycling UK splinter group from Greenwich Cyclists that was formed by Mark Dawson, who fell out with Barry Mason because he was "fed up with pedalling 13 miles to Greenwich for rides with London Cycling Campaign or jumping onto trains out of town for CTC outings". After lunch we climbed up Box Hill, which is relatively easy as there is a zig zag road which reduces the gradient. At the top two of us decided to repeat the climb and we then returnde to Epsom Downs, where one of us left to get the train home from Tottenham Corner. 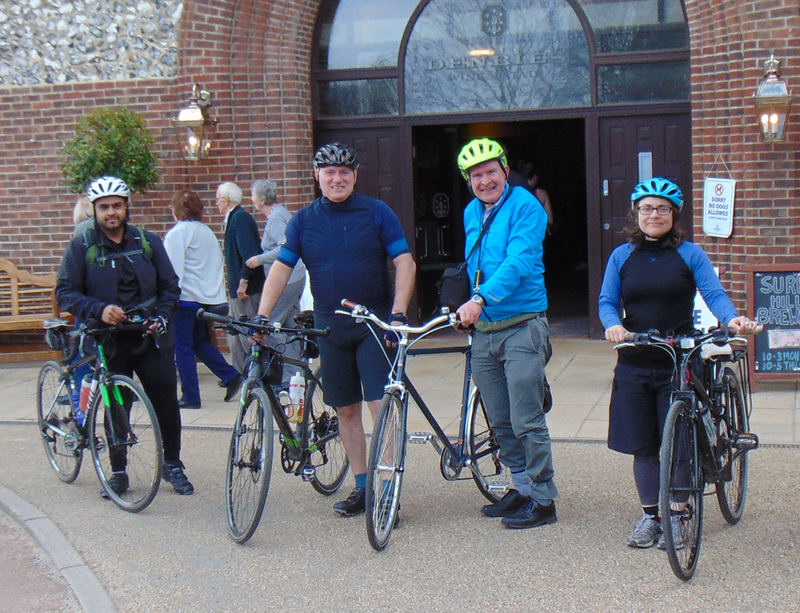 The remaining group then returned to Epson, Ewell, Nonsuch Park, Mitcham and Tootling, where the ride finished. How does an Assurance Contract relate to free-riders? Read more about How does an Assurance Contract relate to free-riders? A week is a long time in politics - but this is no less true with bike politics! Having had all our Cyclists in Southwark rides deleted from the letsride.co.uk website by British Cycling, we have had to hastily reinstate them by putting them on strava.com. This strategy appears to have worked and it gives us a head start as Cyclists in Southwark is now the only London-based Strava group whose members sign up to rides on strava.com. 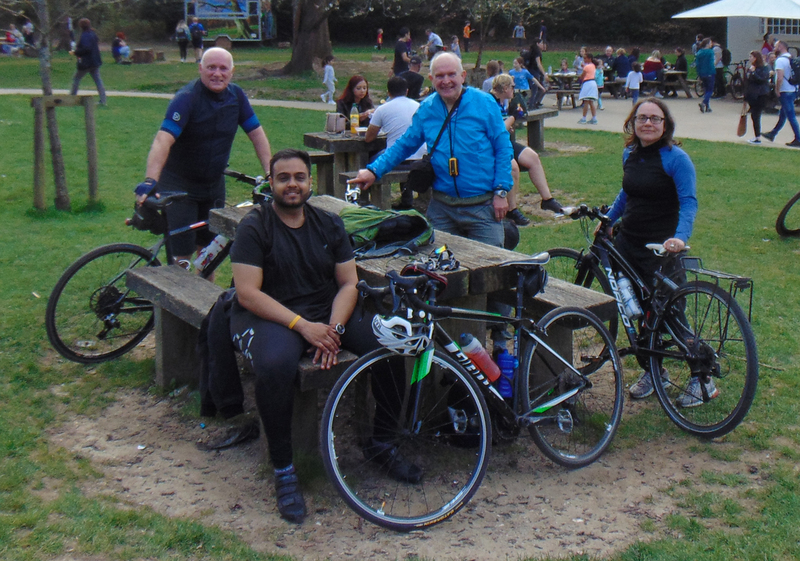 Five of us met up at Cutty Sark Gardens for this Chislehurst Caves ride. All the participants had signed up on strava.com and it was refreshing to find no blocking of electronic communications was going on - everyone had confirmed by text beforehand that they were intending to come on the ride. British Cycling had asked Cyclists in Southwark to give our rides differing starting points/times from those of other groups, so we had moved this Cutty Sark ride to the fourth Saturday of the month, leaving the third Saturday slot free for use by Southwark Cyclists. However, this still leaves open the question of when Greenwich Cyclists, Lewisham Cyclists and "Spokes - London Cycling" should be doing Cutty Sark rides. There was speculation about why all our rides had been deleted from letsride.co.uk. One suggestion was that it might have been punishment for our not bothering about insurance and paperwork! We've discovered that there is another cycling group that meets up regularly at Cutty Sark Gardens on Saturday mornings at 9.30am. They don't have a name, but they do operate a WhatsApp group. They usually do rides to the Lee Valley area, but sometimes do rides in SE London. They sometimes get as many as 10 people on their rides. They appear to be a male-only group and we think they travel too fast to be compatible with our group. We had difficulty getting through the barriers at Horn Park and agreed to miss out this park for future rides because of this. At Grove Park Road, we entered the wrong park and the Quaggy was nowhere to be seen. We had intended to go through Chinbrook Meadows but found ourselves in another park a short distance to the east of it. However, this didn't stop us from getting to Elmstead Wood and then Lower Camden on our way to the Chislehurst Caves. 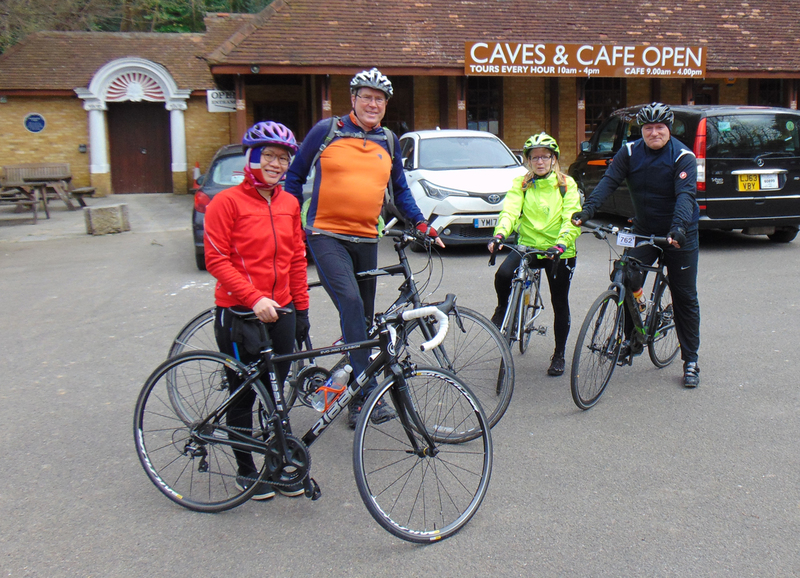 We were surprised to discover that it was only 8 miles from Cutty Sark Gardens to the Chislehurst Caves, but all of us had done a lot more cycling that this to get to the the ride start point. One rider left to get the train back from Chislehurst, but the four remaining riders cycled back to Cutty Sark via Sidcup Place.